No poop, no pee, the lawn's beauty is for everyone to see. 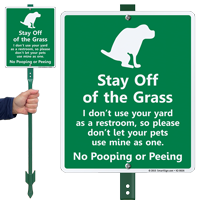 Prevent others from letting their dogs pee or poop on your lawn with this sign. 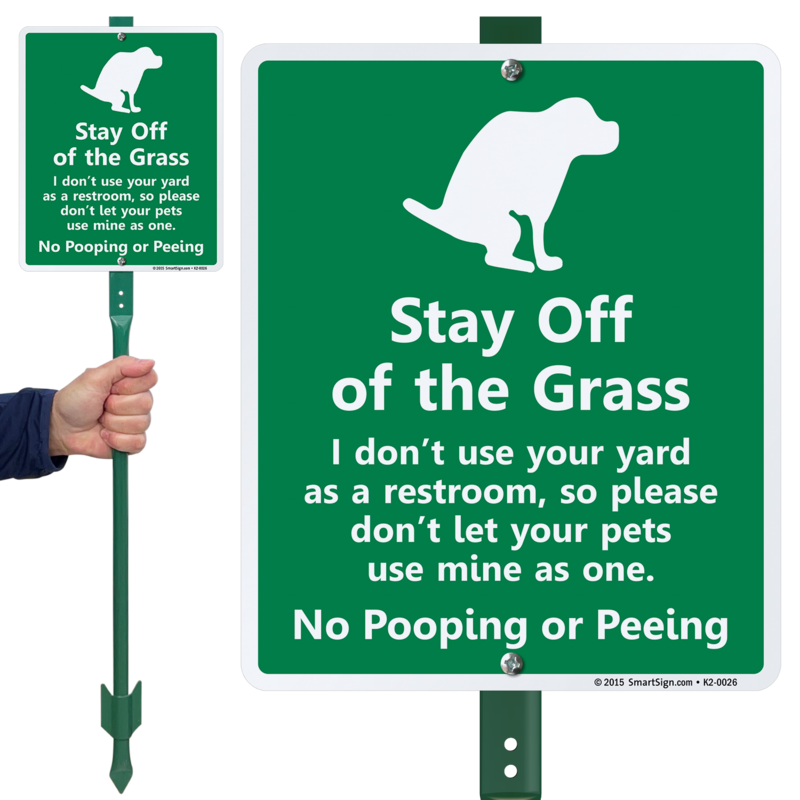 Great reminder to others to NOT use the private property of others as a pet rest area, whether they scoop or not. Last time I checked it was impossible to scoop up pee from grass, btw. Great sign, fast service - thanks! Very nice quality! Heavy duty sign and post. Did the trick, stopped whoever was letting their dog use my yard as a potty spot! Great company, the sign arrived when promised and looks great. Hope it helps??????????? ?